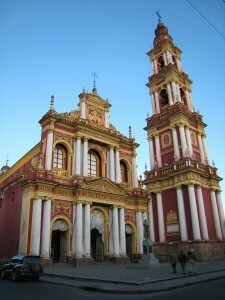 The voyage’s main hub, Salta, is a town worthy of at least an overnight visit. Located in the northwest corner of Argentina, near the Bolivian border, Salta is framed by twenty thousand foot peaks and forested mountains. Salta is a literal oasis within a high desert landscape. It is considered to be one of the jewels of Argentina. A metropolitan city with a population nearing a half a million, it is a congenial mixture of native customs and European culture. She is an enchanting city decorated with intricately detailed 18th century architecture. The town is sprinkled with parks and outdoor art and craft fairs. 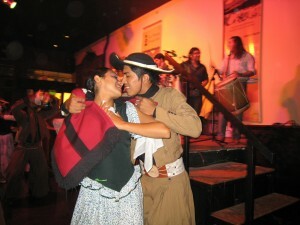 And the locals appreciate their heritage and show it off to visitors with tasty restaurants and musical shows. Their appreciation for the past extends to the Museum of High Altitude Archaelogy (MAAM) where the mummified bodies of three children, found on the summits of the towering local mountains, are protected. Day 1: Depart Salta and head south on Route 68. 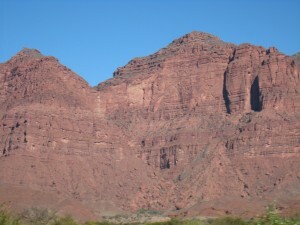 Just pass Alemania, 100 km south of Salta you enter the Quebrada de Cafayate, a canyon filled with sculpted rock. Some of the most popular formations are Garganta del Diablo (Devil’s Throat), El Anfiteatro (The Amphitheater) and Los Castillos (The Castles). Rain water has carved these natural statues through a rainbow of sediment layers. This page rendered in 0.534 seconds.